Hello! Welcome to June! It’s finally summer time! Although, you can’t really tell since it’s been raining so much. This is about the time where people who have started a new health and fitness routine start feeling their motivation wane. Are you feeling that way? One of the ladies in my 80 Day Obsession support group asked what keeps me motivated to work out and stay on plan and it got me thinking… what does motivate me? What about you? I’ve seen many many people start new programs with great goals and passion but fall apart after a few weeks. What makes this happen? I believe that it isn’t really about the goal. Yes, goals are important because they help you focus where to put your energy but the reason behind your goals is the clincher. If you choose something that isn’t a deep seated reason to stay within the fight, you will give in every time. There’s not enough at stake to keep you in it when the going gets tough and it will get tough. I’ve found that if you just want to look better or fit a certain size, there isn’t enough “oomph” into your why. it needs to be something deeper and intensely important to you like you want to be healthy enough to play with your kids or you need to lose enough weight to avoid a serious heart issue. These are the kinds of things that give you the desire necessary to fight for yourself. So, ask yourself what is actually important to you? Okay, I know this sounds weird but I actually read it in a personal development book (which I can’t remember at this moment). It talked about becoming the kind of person who does…<insert whatever it is you want to accomplish> So, if you want to be someone who stays on track with your health and fitness plan you would start talking to yourself and behaving your way into actually becoming that person. So, obviously to do this, your internal dialogue has to be one of positivity and pure conviction of your original WHY. This one takes a little bit longer than the others, mostly because in the beginning you can be really sore! Think about how you feel after the workout, do you feel a sense of accomplishment? Do you feel the endorphin rush when you push yourself through a hard workout? I know that staying on track with my health and fitness routine keeps my depression managed well and that makes it worth it to stay in it for me! It also makes me a better wife, mom, and friend because I think clearer, sleep better, and have better emotional health all around! The picture above is 30 days. The left side picture was taken after the 3 Day Refresh and is at 125 pounds. The picture on the right side is me 35 days later, but also at 125 pounds! See, the scale doesn’t always tell the whole story. 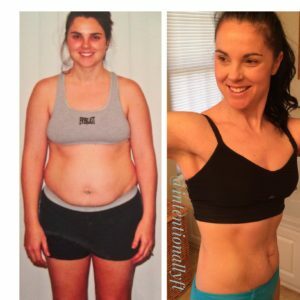 I would love to help you have your own transformation! Our challenge group will provide recipes, tips, how to set yourself up for meal prep success, accountability, motivation, and daily support. We all do better when we have people cheering us on, let me be your personal cheerleader! If you are interested in more meal prep help, you might want to consider joining our 2 Week Clean Eats group! Doing a little testing of the new Core de Force program today. I tried MMA Speed. I really like it, the instruction is clear and the moves are complex but not complicated. There is even a learning version of the workout you can do first. Next week we have a challenge group that is going to go through Core de Force through December. If you are interested in joining us, sign up today! First, I want to say thank you. Thank you for trusting me with your health and fitness journey, allowing me to speak into your life, and pushing me to become a better coach. I am honored that you are here. 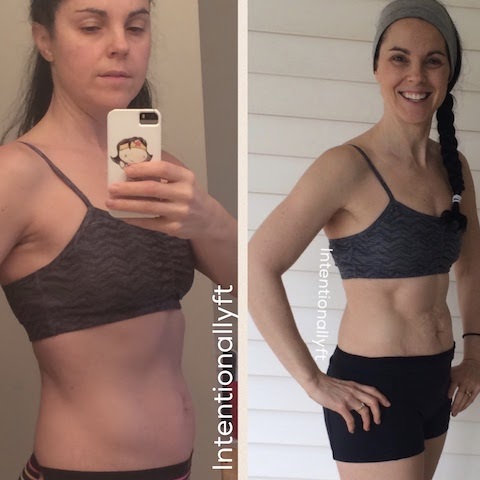 I want to share a little bit of the how and why behind IntentionallyFit. To do this, I will need to travel back a bit and share some of my story with you. 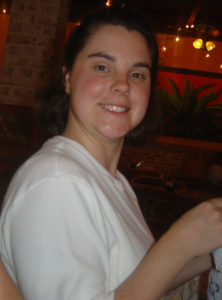 This is me on my 30th birthday. It’s the best picture, really. I had a three year old son and a 1 month old daughter. I look back on this picture with mixed emotions. I LOVED becoming a mom. I loved having a family (still do, in fact! ), but I was so unhappy with me. Fear, insecurity, and an overall sense of shame for WHO I had become, or let myself become plagued me. I was depressed and really unhappy. This all came to a head in the most inconvenient of places, a dressing room at Target. 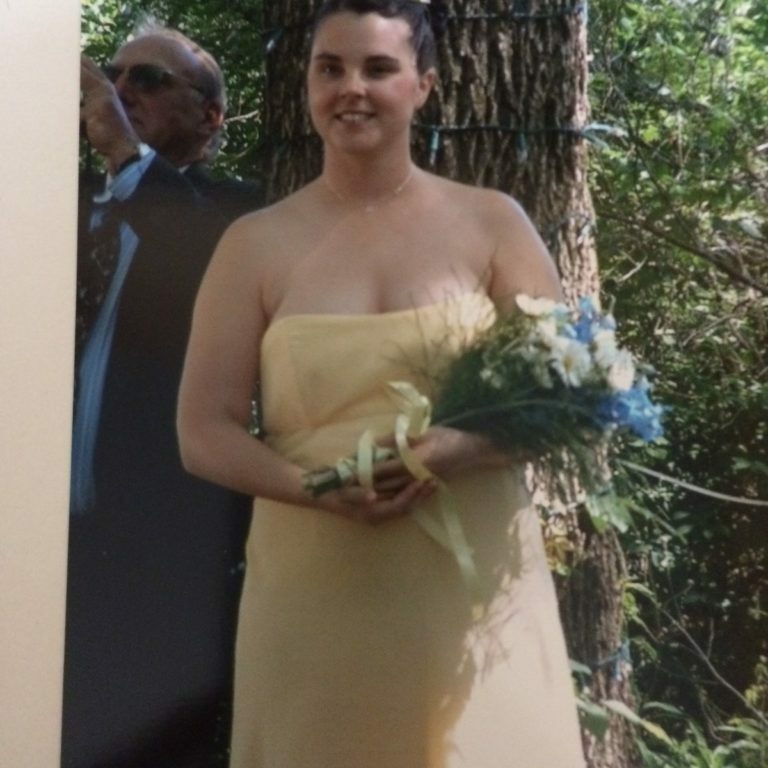 The summer after I turned thirty my little brother got married. I was in his wedding. The dress was a size 16. If this wasn’t enough, I had absolutely no shorts to wear, in public anyhow. I took my babies with me to Target and proceeded to try things on. The only pair of shorts I could squeeeeeeeeze into were size 15, and that was with the lay down, hop around, stuff myself in dance. So, right then and there I fell apart, with my two kids just staring at me, trying to figure out what was wrong with Mommie. To make a long story short, I later found Beachbody in a hotel room on the way home from that wedding. I started Power90 at the beginning of January. I worked hard. Sometimes the logistics of exercising with a 4 year old and a nine month old required some creativity, but I did it. I didn’t know it then, but I was drastically changing my health and not just a diet, but a real lasting lifestyle change. During this time period I learned that health and fitness is not limited to just the physical aspect, but includes mental, emotional, and spiritual areas as well. I say all this to tell you. I know how hard it is to change your life. I know how hard it is when nobody is helping and people are criticizing instead of encouraging. I know how hard it is when the kids are begging for attention and all you want to do is sleep (well, after you stuff a big burger or enchilada down your throat). We didn’t have coaches then or challenge groups to help. I don’t tell you this to get pity, but so you know it can be done. You can do it. I know it, because if I could with nobody helping, then you DEFINITELY can because I will help you every step of the way. I will be here for you. I will encourage and not criticize. I will cheer you on, but you still have to do the work. I can’t do that part, but I know you can. Join one of our Challenge Groups and get started on your own journey! Are you someone who loves MMA or a good kick boxing workout? I am and I’m super excited to let you know about this new program that is available. I just got mine and will be offering two different challenge groups. One, small personal group of very determined people for my test group starting December 5th and another group for people of all fitness levels starting January 2nd. It is a 30 Day MMA style workout program created by Beachbody Trainers Jericho Mathews and Joel Freeman. The workouts alternate boxing, kickboxing, and Muay Thai combinations, cardio spikes, and bodyweight training to define and sculpt your body without needing any equipment. The workouts are broken down into 3 minute rounds at a time for a total of between 27-47 minutes total. The moves are designed with something called 360-degree Core Training that works your core from every angle to really target that bulge and belly fat. 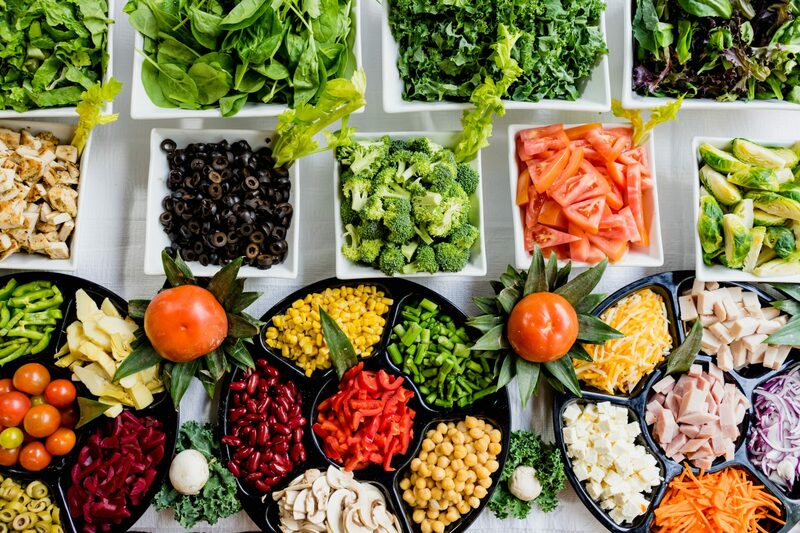 Nutrition is what makes a big difference in any program so Core de Force includes an eating plan with recipes, food lists, and sample menus to help you stay on track. The workouts are challenging and are recommended for intermediate to advanced fitness levels. There is a modifier for each workout, so even if you are a beginner and an MMA style workout excites you, you can go for it! This program is not “dancy” or a set of choregraphed moves to music. If you are interested in that kind of program, something like TurboFire might be what you are looking for. This is good solid punches, kicks, blocks, and elbows in your own time for the allotted set count. What comes with the Core de Force Base Kit? The CORE DE FORCE Eating Plan with food lists, recipes, sample menus, and more so that figuring out what to eat is never a battle. 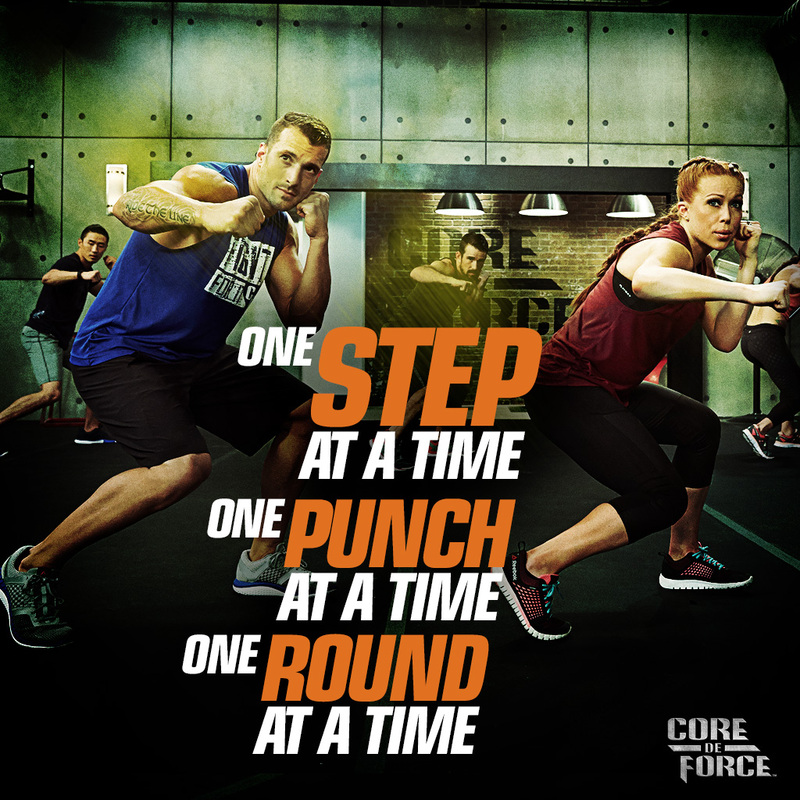 A Quick-Start Guide with 3 simple steps for starting CORE DE FORCE strong. A 30-Day Calendar includes your daily workout schedule. 5 Min. Core on the Floor: 5 challenging plank movements to help burn the belly and define, flatten, and tone the tummy. Core Kinetics: Strengthen your core with moves designed to help carve flat abs and tight obliques. You will get a FREE Bonus Workout—MMA Mashup. A mix of the best moves all in one workout! A $19.95 USD value, you get it FREE when purchased from me as your Coach. The Challenge Pack contains the CORE DE FORCE Base Kit, your first 30-day supply of Shakeology, a 7-piece color-coded portion-control container set, a Shakeology shaker cup, and a 30-day trial to Beachbody On Demand so you can stream CORE DE FORCE and hundreds of additional Beachbody workouts. The Digital CORE DE FORCE and Shakeology Challenge Pack is great for anyone who prefers to stream their workouts. 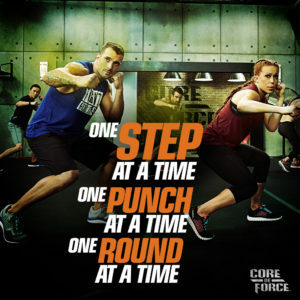 It includes unlimited 90-day digital access to CORE DE FORCE on Beachbody On Demand, where you can also try some of Beachbody’s most popular programs. Your Digital Challenge Pack also includes your first 30 days of Shakeology* and Portion Fix (includes 7-piece portion control container set, Portion Fix recipe book, large blue container, and Shakeology Shaker Cup.) CORE DE FORCE DVDs are not included. What Is a Challenge Group and How Do I Join One? A challenge group is a small group of people that I personally coach through a specific program or “challenge” like a clean eating group. We meet through a free app where we support and encourage each other in a private, judgement free, safe environment. I provide recipes, help with questions, motivational tips, and sometimes even prizes. Sign up to join one of the upcoming Challenge groups. Make sure that I am your Coach*. If you don’t have a FREE Team Beachbody account, you can create one. *If you already have a Team Beachbody Coach please contact them first to see if they are providing a group for you. Need a Coach? Choose me as your TeamBeachbody Coach for free! Comment below to join or scroll down to sign up for the free newsletter for more information.